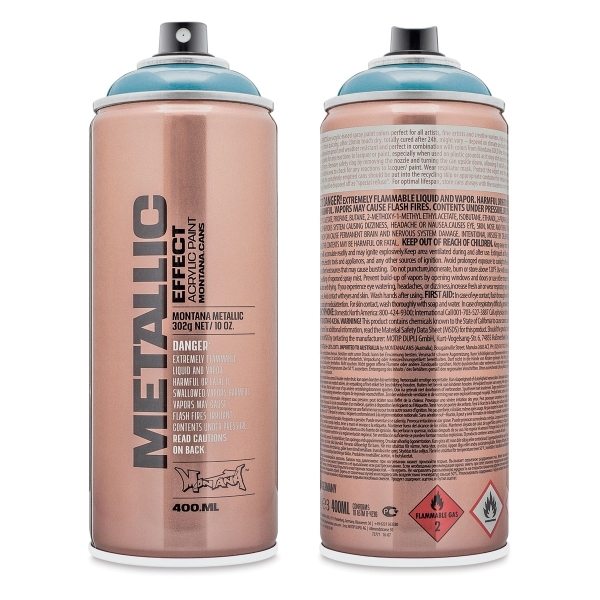 Montana Metallic Effect Sprays add a metallic flare to any creative or artistic project. 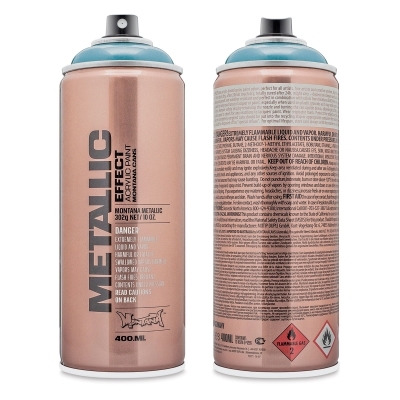 The cans provide excellent delivery and reliability under medium pressure output. Paint dries to a durable semi-gloss finish that's both hard-wearing and flexible when fully dry. 400 ml cans. ™ Montana is a trademark.